Turn a watering can into a makeshift nest for birds! Drill or poke several small holes in the base of the can for drainage. Wrap a piece of sturdy wire around the can’s spout and handle, and use duct tape to further secure the wire if needed or to cover the tips of the wire to prevent them from poking one of the birds. 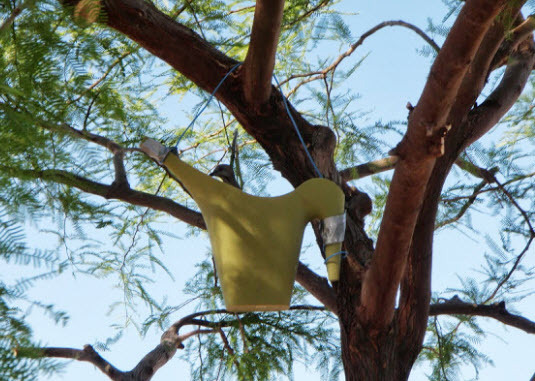 Partially fill the can with wash cloths or scraps of fabric, then hang the nest in a tree.